Prime Minister Benjamin Netanyahu clinched yet another victory in Israel’s elections on Tuesday, winning a historic fifth term in office that could soon make him the longest-serving prime minister in Israel’s history. Netanyahu withstood a major challenge from political newcomer Benny Gantz, a retired general who had served as chief of the general staff of the Israel Defense Forces. 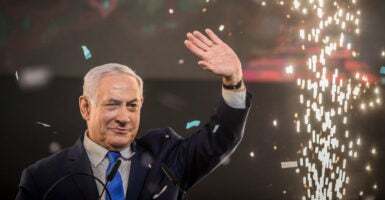 Israeli polls had indicated that Gantz had gained a slight lead in recent weeks, but the final vote count showed that Netanyahu made a final sprint to victory. Gantz conceded defeat after concluding that he had little hope of winning the backing of a majority in Israel’s 120-seat parliament, the Knesset. The election was billed as a referendum on Netanyahu’s leadership. If that was the case, then Netanyahu passed with flying colors by adding six seats to Likud’s previous 30-seat total. This was Likud’s best showing since 2003, when it won 38 seats under the leadership of Prime Minister Ariel Sharon. The media focus on the race between Netanyahu and Gantz obscured the fact that popular support for Israel’s leftist parties has continued to erode. In particular, the Labor Party, which dominated Israeli politics from 1948 to 1977, garnered only six seats, down from 18 seats in the last elections. Israeli President Reuven Rivlin next week will appoint the party leader that he determines has the best chance of cobbling together a majority in the Knesset. Netanyahu is certain to be appointed. Likud and its natural partners on the right are projected to control 65 seats, while Gantz could potentially attract the support of 55 at most (including 10 seats from Arab political parties that have never joined governing coalitions). Once appointed, Netanyahu would have 28 days to assemble a ruling coalition containing at least 61 Knesset members, with a possible two-week extension if necessary. This will require extensive negotiations with other political parties over policy issues, Cabinet positions, and political appointments. Particularly noteworthy will be the appointment of the defense minister, traditionally considered the most important slot after the prime minister. Avigdor Lieberman, the leader of the secular nationalist Yisrael Beiteinu party, is known to want to return as defense minister, but his resignation last November due to disagreements over Netanyahu’s Gaza policy may lead Netanyahu to deny him that position. Assembling the new coalition government will take many days, if not weeks, of hard negotiations. But the next administration should be up and running by mid-May. By mid-summer, Netanyahu will become Israel’s longest-serving prime minister, surpassing David Ben-Gurion, Israel’s founding father. Netanyahu’s fifth term may become one of his shortest, however, as he faces three possible indictments on corruption charges. Israeli Attorney General Avichai Mandelblit announced in February that he intends to indict the prime minister on charges of bribery, fraud, and breach of trust related to three different investigations. Netanyahu is entitled to a hearing to refute the charges. If the case proceeds, he would become the first Israeli prime minister to be indicted while in office. He is not required to resign if indicted, but only if convicted. Netanyahu enjoys strong support from Likud, as well as other conservative, nationalist, and religious parties. 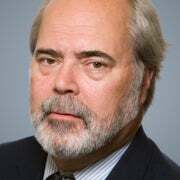 Despite his resounding political victory, it remains to be seen if he can withstand the potentially career-ending charges he soon may face in court.